Everyone knows that, sadly, the panda species is a threat of disappearing off the planet. Such a cute creature needs a little help to keep it running around! But, who knew that you could bring home some of the joy of the panda and help remind the world how great they are!? Start the fun at home with this Panda Dog Costume. This front coat and hood will make your pup look like a panda bear running around on its hind legs. The furry coat features the white and black patterns for everyone's favorite bamboo-eating bear and allows your dog's face to pop through the front of the hood. Faux arms at your dog's shoulders will look like excited panda arms when they run towards you. A few things that you need to know: always feed your panda-pup delicious treats in the morning, evening, and after midnight. Really, whenever they want. How can you even avoid this level of cuteness? 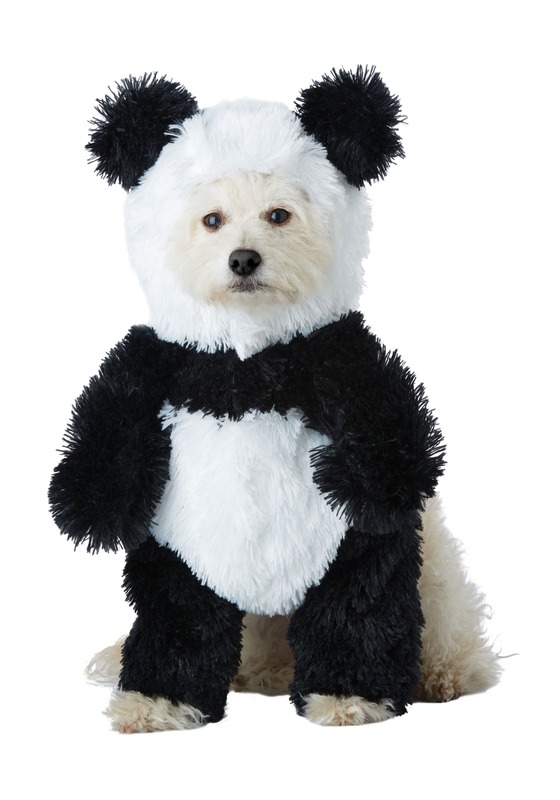 In fact, you should probably pick up a few extra packs of treats with this Panda Dog Costume.